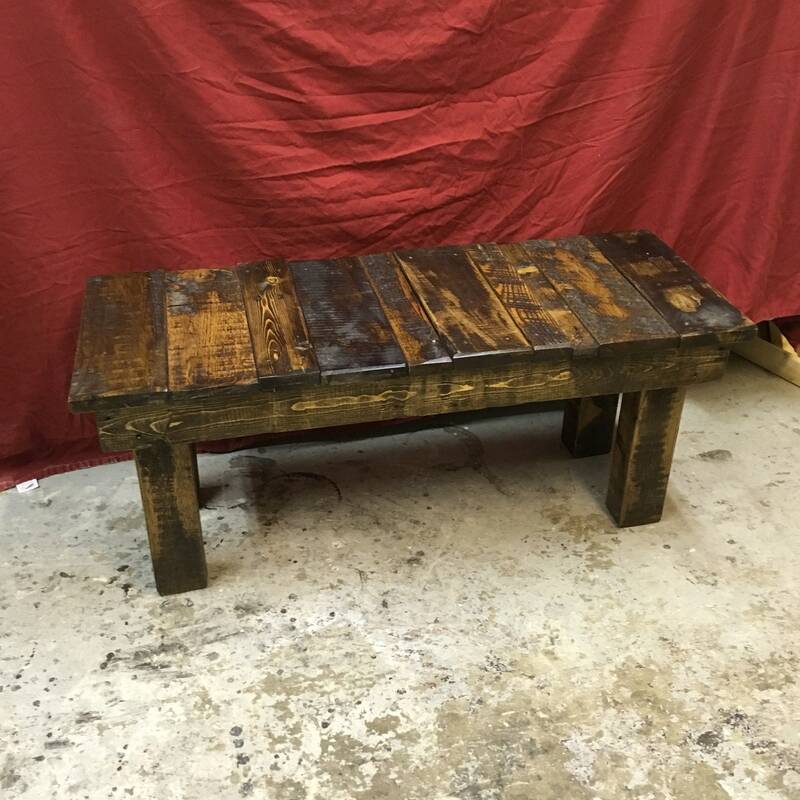 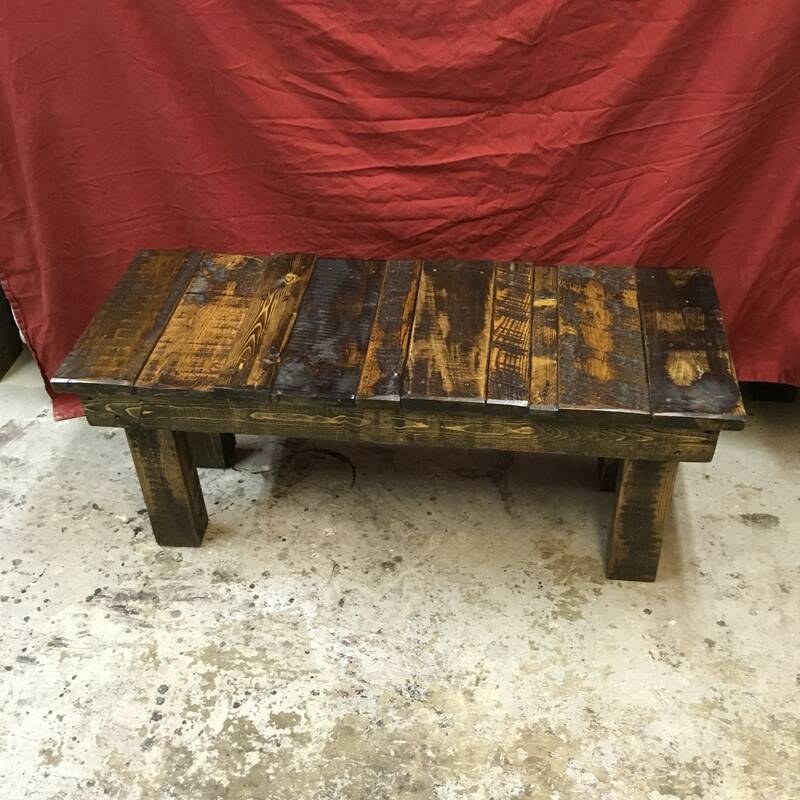 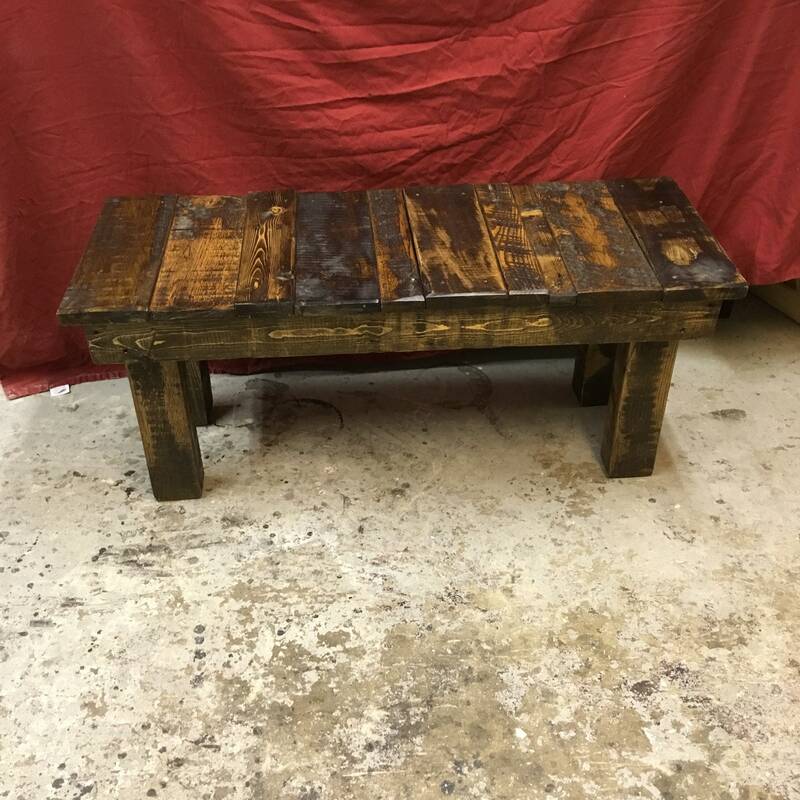 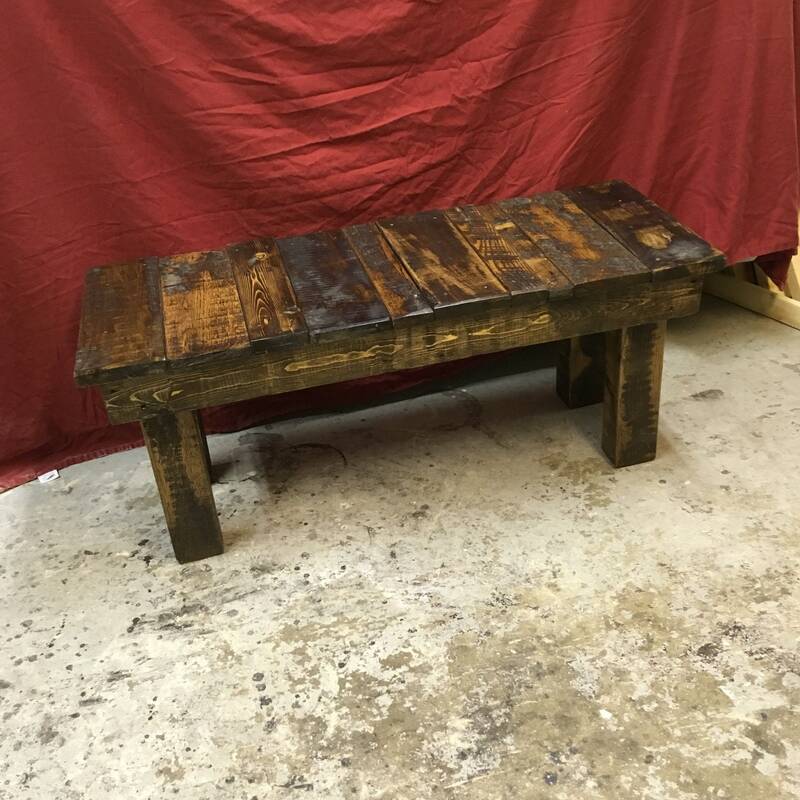 This rustic reclaimed wood bench can be built to suit your specific requirements. 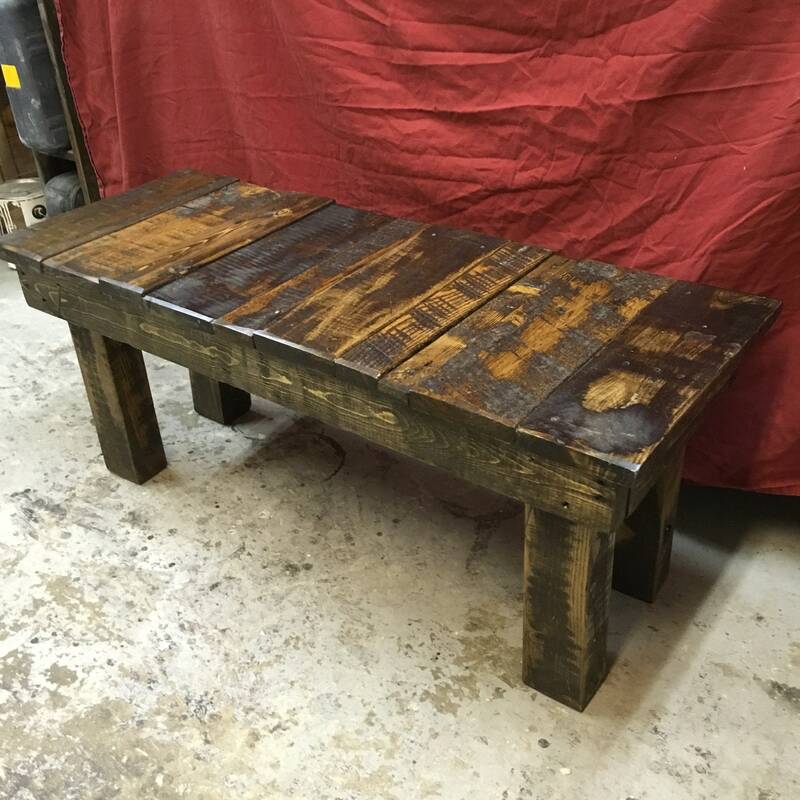 It can enhance any living space adding warmth and character. 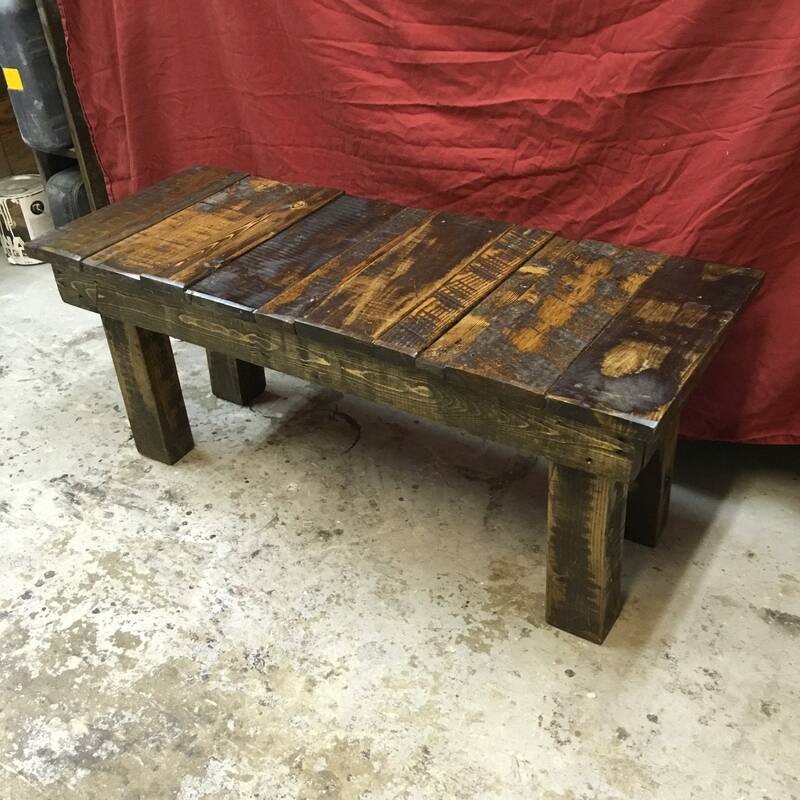 The nature of the reclaimed wood provides unique colouring and texture making each piece one of a kind. 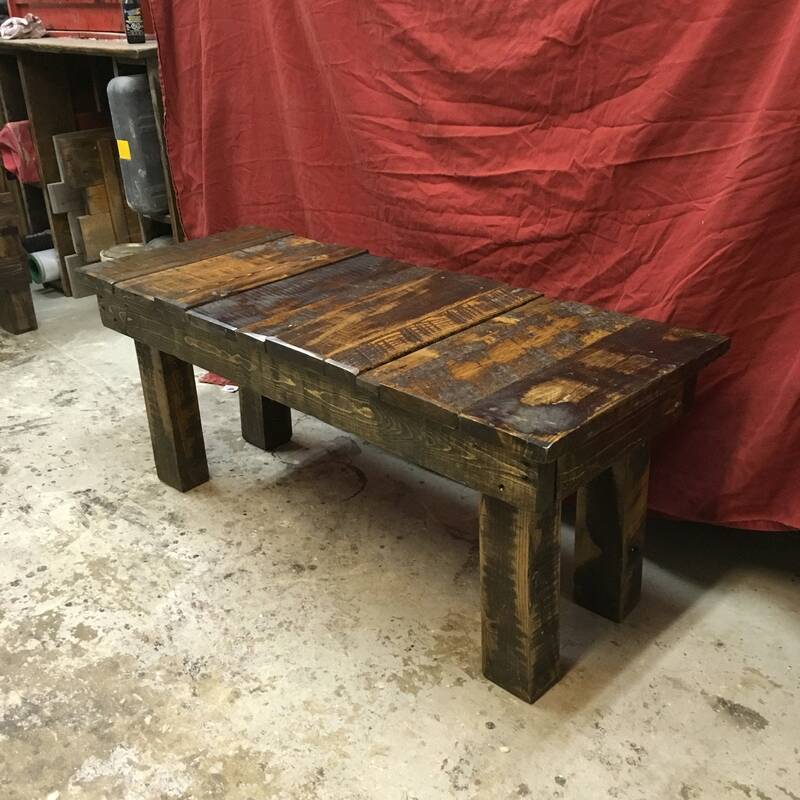 Select your own dimensions as these can be built to any size. 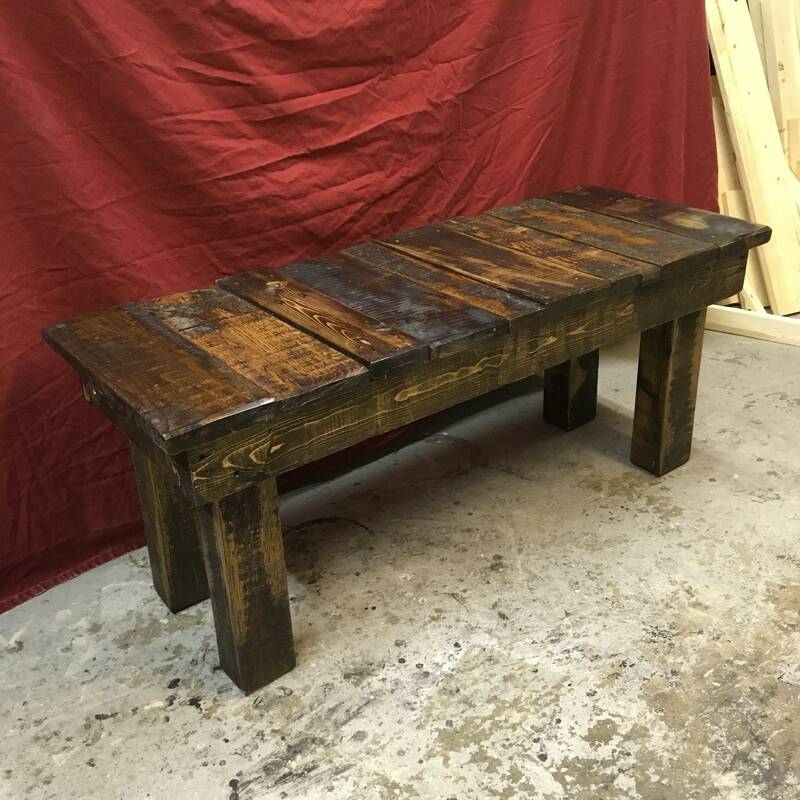 The item pictured is 48”x 16” x 17” high.